To celebrate its 40th anniversary, the airfield of Cerfontaine organized an open door at the start of the summer season. Those 40 years were not without a glitch. 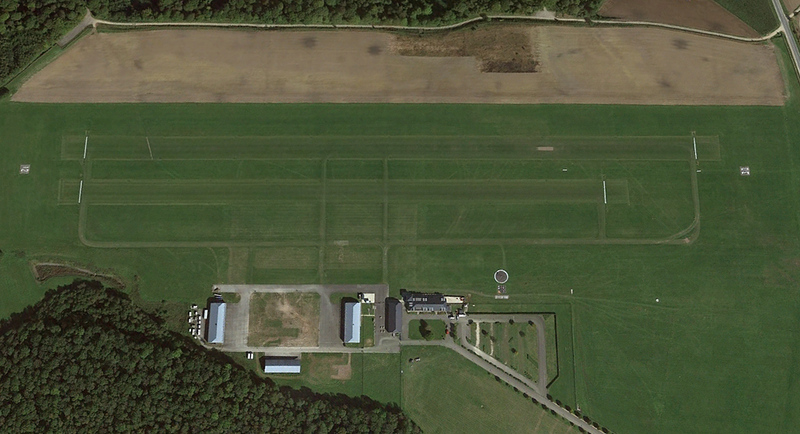 Indeed, the airfield was confronted to numerous difficulties before becoming what it is today. Media fed on it several times and the airfield authorities ran into urbanity problems, with opposing points of view from various ecologists and many more setbacks. But today, it is all right there! Inescapable location within this highly touristic zone, thanks to the "Barrages de l'Eau d'Heure" allowing various nautical and aquatic activities, in which the airfield added an aeronautical touch, perfectly integrated in this Ardennes region. Celebrating 40 years was a must and inviting the public to discover the airfield was an excellent idea. The numerous visitors were able to have a look at the different aeronautical possibilities of the airfield, like skydiving, gliding, helicopters or motorized flights with ULM or small planes. The success of this initiative was also to be due to the support of the Air Force in general and the 2nd Tactical Wing of Florennes in particular, allowing the public to pay a visit to a part of this airbase or visit the museum, thanks to the shuttles between the base and Cerfontaine airfield. 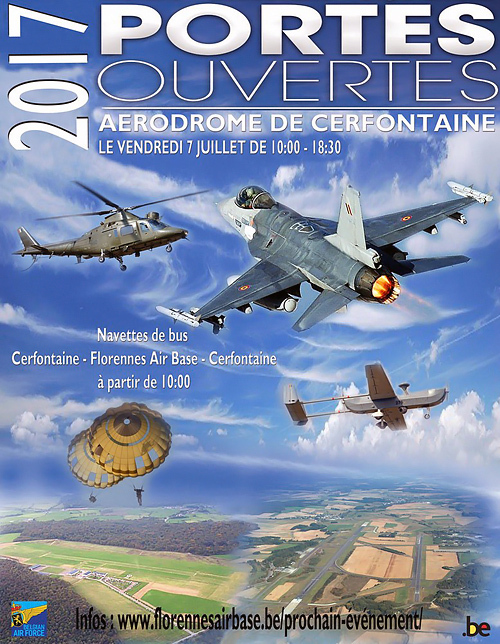 But also on the site of Cerfontaine itself, you could enjoy a fly past of F-16, an A-109 Agusta display or freefall jumps by our military troopers. Once at the airbase, visitors had the possibility to receive more information on our fighter aircraft the F-16AM, on the UAV B Hunter from 80 Squadron or simply gathering more information regarding an eventual military career. To perfect the picture of the day, the Royal Belgian Defence Aeroclub organized at Florennes airbase, a gathering allowing small older or recent planes to use the military facilities, which cannot often be seen and also to discover the activities of this particular club, primarily open to military and their families. Also notable within the framework of this gathering, was the presence of Pierre Vanwetter and his much acclaimed Sonaca 200. So, one could end the day by visiting the museum of the airbase and see the various planes and other machines which made the glorious days of the Jean Offenberg Airbase, before rejoining the airfield of Cerfontaine, where we started off this magnificent day. SBAP wishes to thank heartily Gilbert Mullenders and Alex Classen for their invitation to this event, the authorities of the airfield of Cerfontaine for their warm welcome, "Polom" the base commander and his wife for their pleasant company, "Vinny" for all his explanations as well as Rudi and Sarah for the glitch free organization of this combined event. Dessert in an aeronautical and enchanting setting Thanks to Alex Classen and Gilbert "Mumu" Mullenders for their support!